Matt Thibeau is a 22-year-old digital marketing consultant, entrepreneur, and stunt cyclist daredevil from Ottawa, Ontario. From a very young age, Matt has always been driven to succeed. He fell in love with doing tricks on his bike at the age of 12, and quickly became obsessed with the sport of bike trials. At only 16, Matt started to monetize his talent by performing high energy bike stunt shows for schools, festivals, and other private events all over North America. His success in cycling and show business gained him a considerable amount of fame in Ontario. While attending university in 2015 for a communications degree, Matt was exposed to the world of digital marketing after meeting a family friend. Matt immediately began to educate himself on marketing, and started a publishing business on Amazon, and a used bicycle business on eBay. 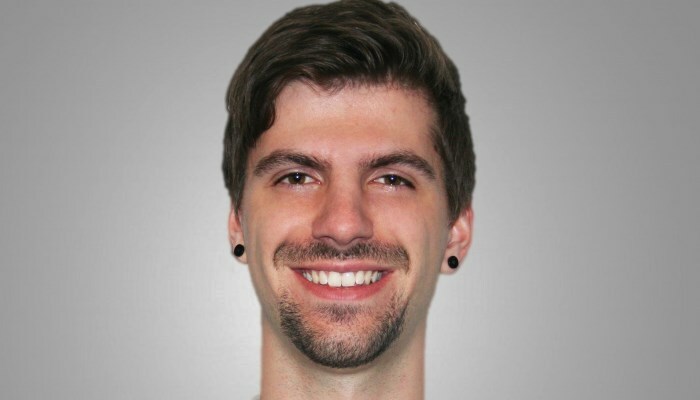 Upon his graduation of university in April 2016, Matt was offered a job at a small tech startup to assume the role of Digital Marketing Coordinator for the company. During this time, Matt also received his full certification in digital marketing. After working in the corporate world for 6 months, Matt realized that he wanted to venture out on his own and help other business owners massively grow their business with digital marketing strategies. One client turned into two, two turned into three, and on it went. Today, Matt is focused on serving his clients at the highest level with his digital marketing agency. He also runs several online publishing businesses, and does speaking events in Ottawa. He is more driven than ever to create massive success for himself, and his clients. With all of that being said, he still finds time to ride his bike. I got started in digital marketing by uploading videos of me biking on YouTube to market my stunt shows. Shortly after I met a family friend who really turned me on to it all as well, and it just progressed from there. What really inspired me to start my marketing agency was the fact that the digital marketing space is one that is very misunderstood by many business owners. They know that they should be doing it, but they don’t know how to go about doing it. For me, there’s nothing more inspiring than helping them get the results they want from utilizing what I have learned. My primary source of income is from serving my clients. However, I also own several online publishing businesses, sell learning courses online, and I am involved in affiliate marketing. I was profitable almost immediately since my consulting business has very little overhead. I work out of a home office on my laptop, and have 2 remote freelancers who help me with various tasks. I think everyone has doubt in the beginning, especially if they are a new entrepreneur. This is because they lack the validation from previous success that gives them the confidence to move forward. For me, I was lucky because I experienced success in my cycling career first. This gave me confidence to believe in myself in the business world that I do not think I would have had otherwise. My first customer was a business owner that I met when I was working at a tech startup as a digital marketing coordinator. We exchanged business cards and eventually he asked me to give him a hand with stuff that was going on in his business. Facebook. If you’re a business owner who is not leveraging Facebook to get new leads, then you’re seriously missing out. Even from organic Facebook marketing, I get new business all the time! The key is to make a big enough splash so people can hear your message. Limiting the amount of time I spend with friends, my girlfriend, and on my bike. Although those things are all very important to me, my biggest priority is serving my clients and growing my business today, so I can have a better tomorrow. If I decide that I want something, I get it. I am very persistent in getting what I want. Also, I will obsess about getting it until I do. It’s a blessing and a curse! Seeing the look on my clients face when they are seeing massive results and growth in their business from working with me. There is no better feeling! The future for my business is to dominate the social media marketing industry. I want to become the person that everyone thinks about when they think of advertising on social media. I’m very excited to start working with bigger clients who already have a large impact, so we can impact even more people! In terms of inspiration, I really enjoyed reading “Be Obsessed Or Be Average” By Grant Cardone. There are so many golden nuggets in there it’s crazy. Great story too! I recently bought a course on Facebook ads. I am always looking for new courses and information to expand my knowledge and master my craft. This will help my clients with getting even better results in the future I am sure. What is one piece of advice you would give to someone who is a young entrepreneur like yourself, who wants to get started in business? Start to educate yourself. Read books about business and start to hang out with people who are successful in business. This will start to provide clarity for you on what your path should be and how you can model success and replicate it for yourself. Don’t reinvent the wheel!